The very first dialog which asks for hostname and credentials. 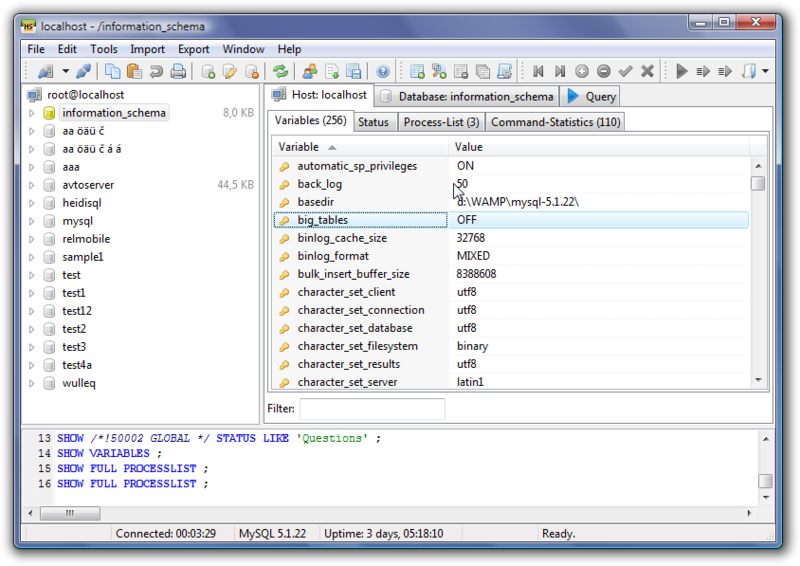 The list of wanted databases can be limited and sorted alphabetically. Establishing connections to MariaDB/MySQL servers through an SSH tunnel, using plink.exe. 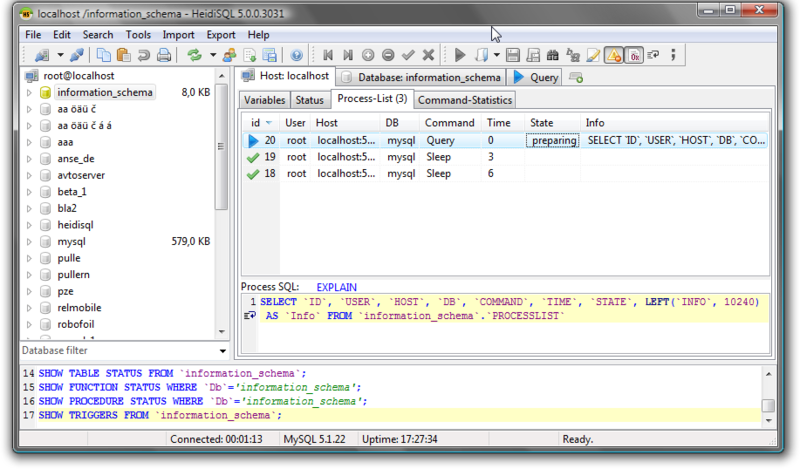 Administer MariaDB/MySQL accounts as easily as a toy. 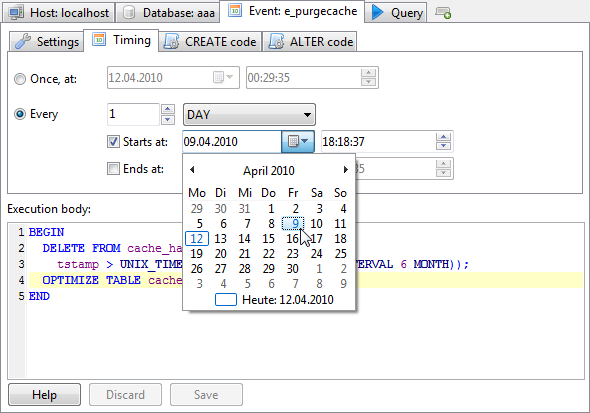 A pulldown showing assigned database objects reveals everything. The list of server variables. Most of them are editable by doubleclick. Filterable. 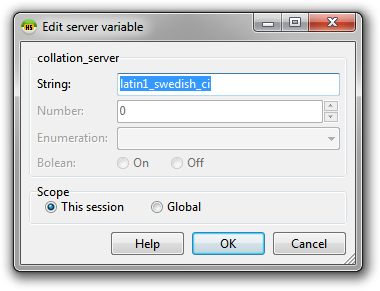 Editable server variables, either for session or global scope. The list of currently running processes. 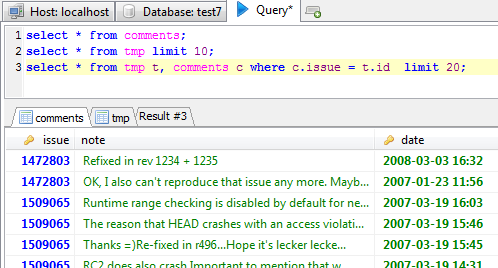 Used to analyze executed SQL and to kill bad processes. 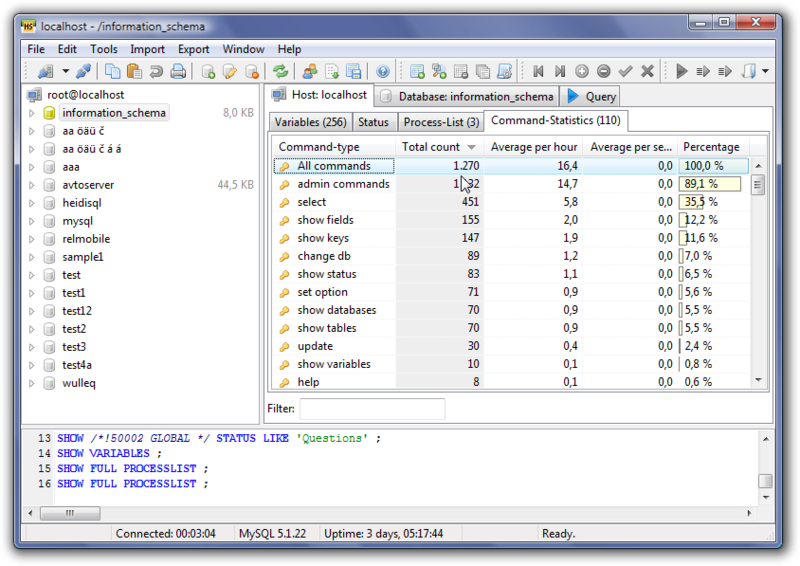 Graphical statistics on the amount of all different SQL commands. Details about tables and views. Switchable column headers. 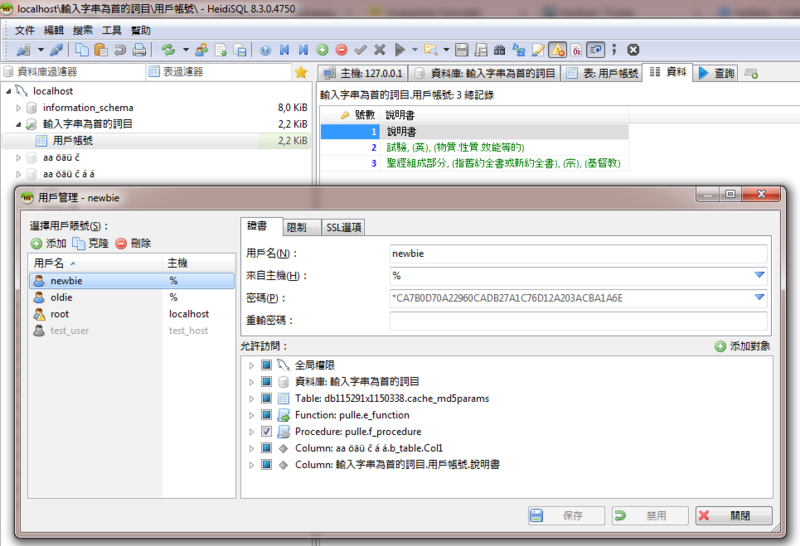 Used to rename, delete, empty and modify tables. 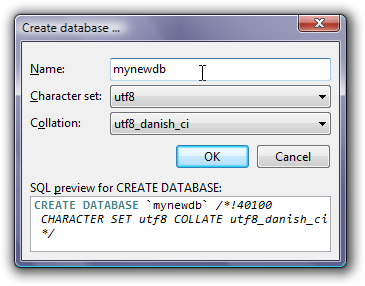 Create, modify databases and assign a character set + collation. 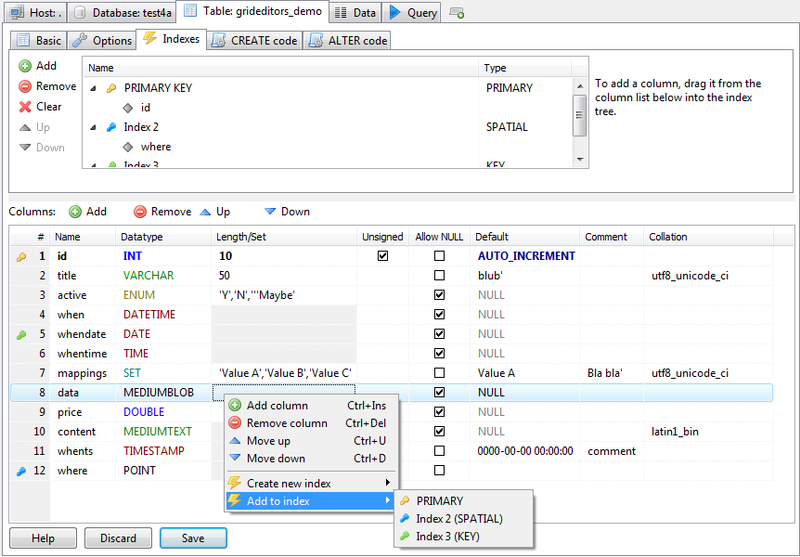 Visually create and edit tables, without hiding the CREATE/ALTER TABLE query. 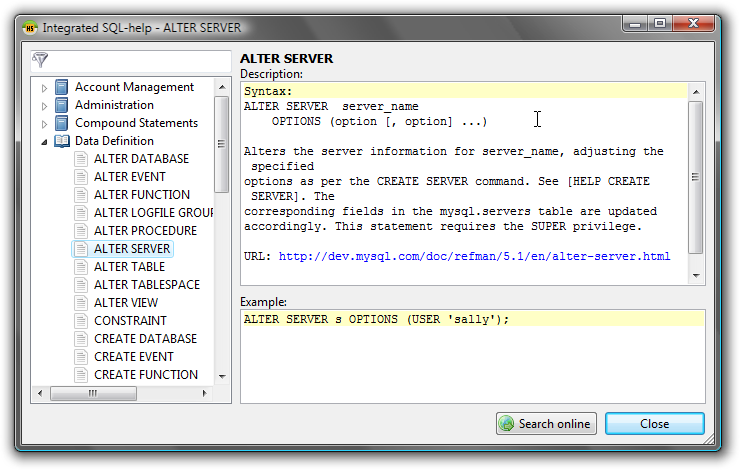 Create and modify VIEWs on newer MariaDB/MySQL servers. 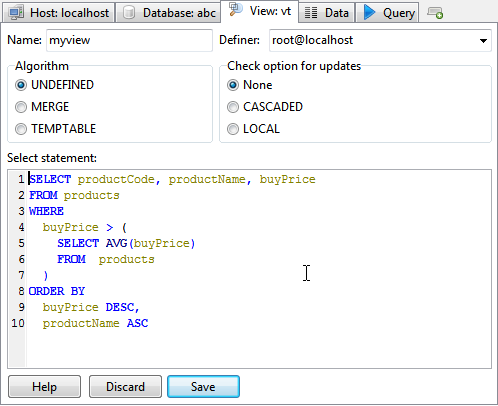 Create and edit stored procedures and functions. 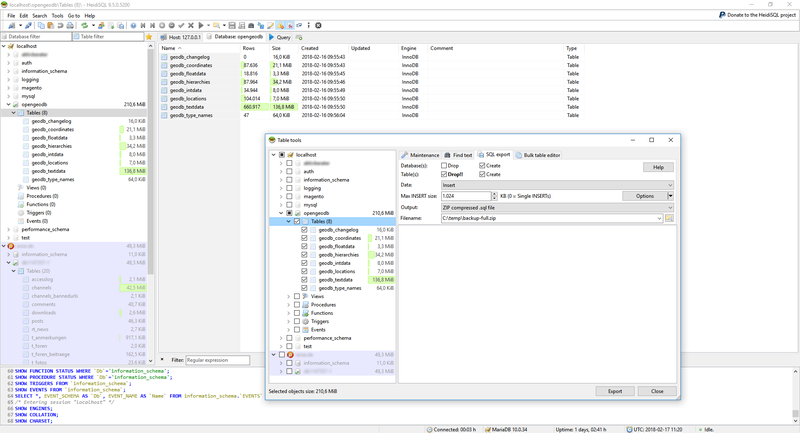 Create and modify TRIGGERs on newer MariaDB/MySQL servers. Create and modify scheduled scripts (EVENTs). Mark tables and whatever as favorites. 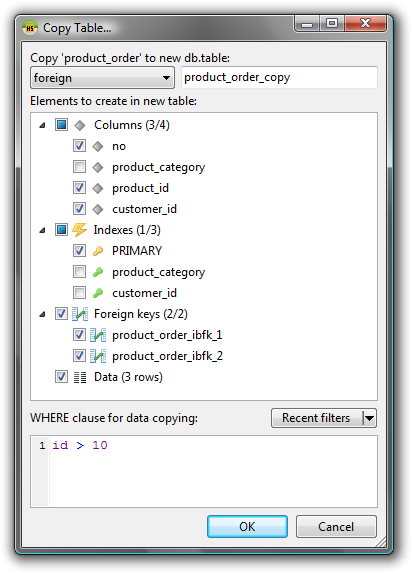 Create exact copies of an existing table, within the same database or in another one. 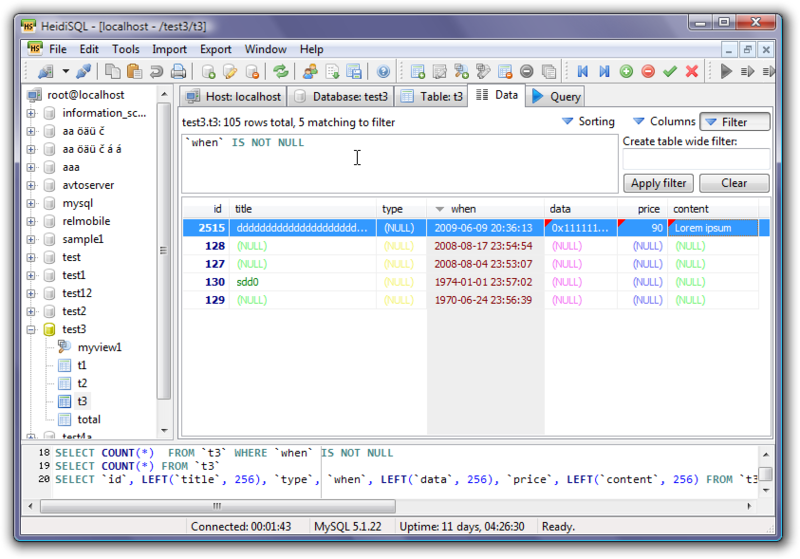 Table contents editable in a grid. Switchable columns and sorting orders. Various filtering mechanisms. 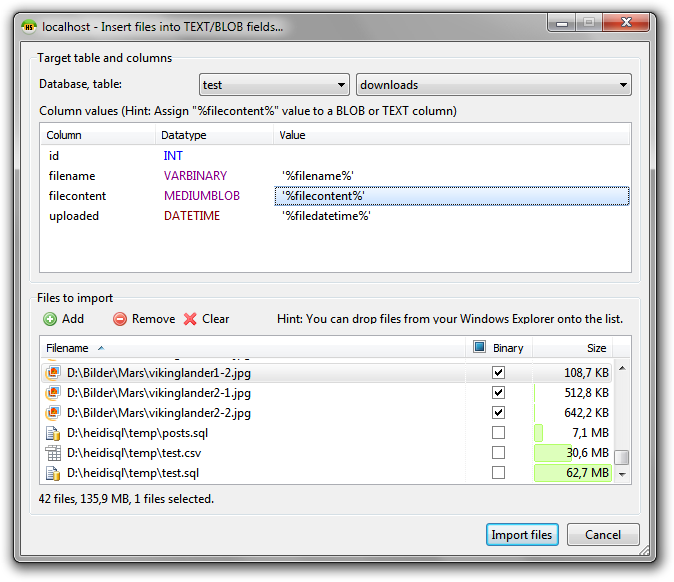 BLOBs can contain various file formats. HeidiSQL displays JPEG, PNG, GIF, BMP, PSD and some more image formats in a quick preview box. 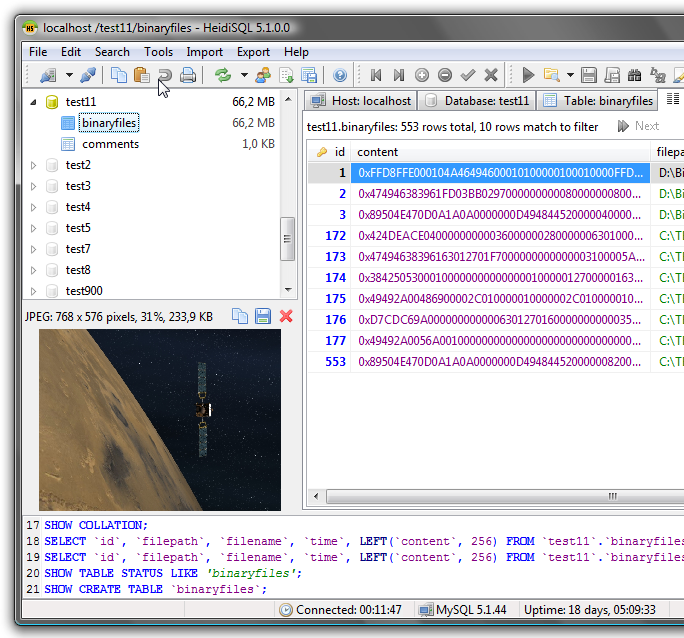 Grid editing using various editors for text, hex/binary, enum, set, date/time columns. 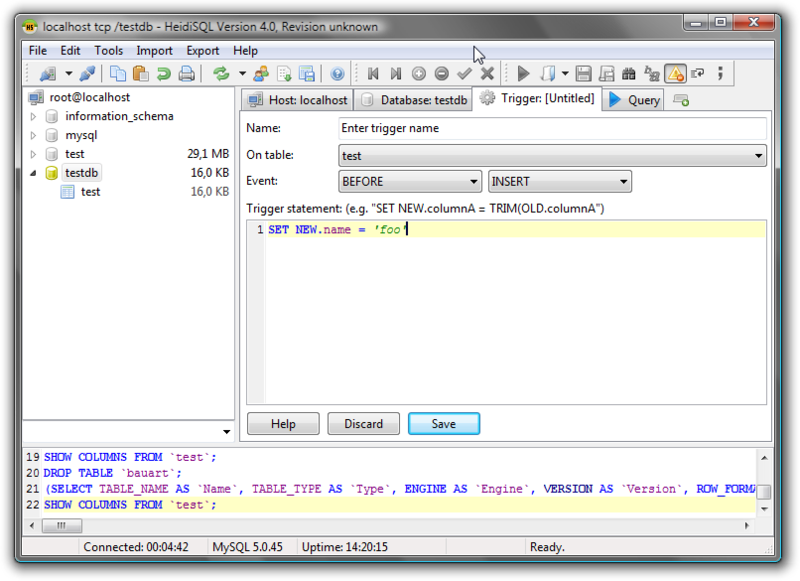 Run a batch with multiple SQL queries and get one tab per query. 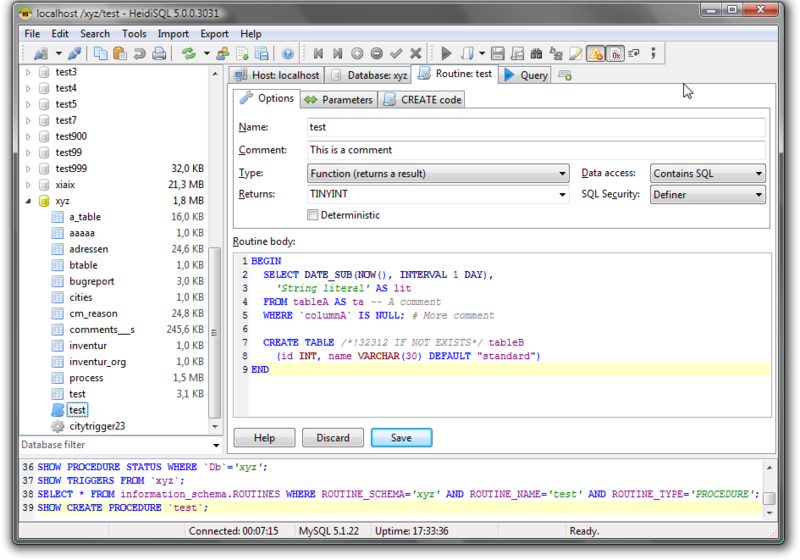 SQL query editing: Customizable syntax highlighting, snippet files, completion proposal pulldown and editable results. 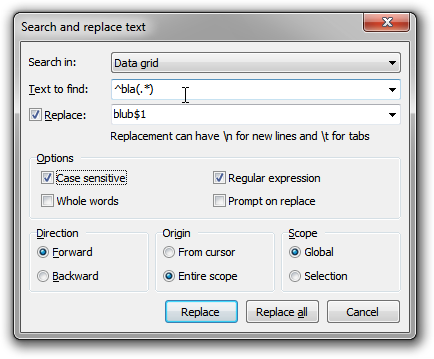 Find and replace text in query editors, supporting regular expressions with callbacks. 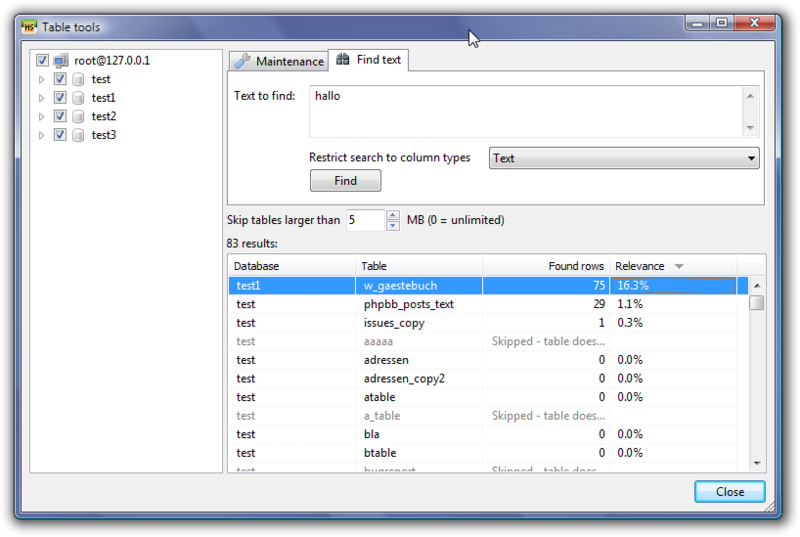 This dialog also supports searching and replacing in table rows! 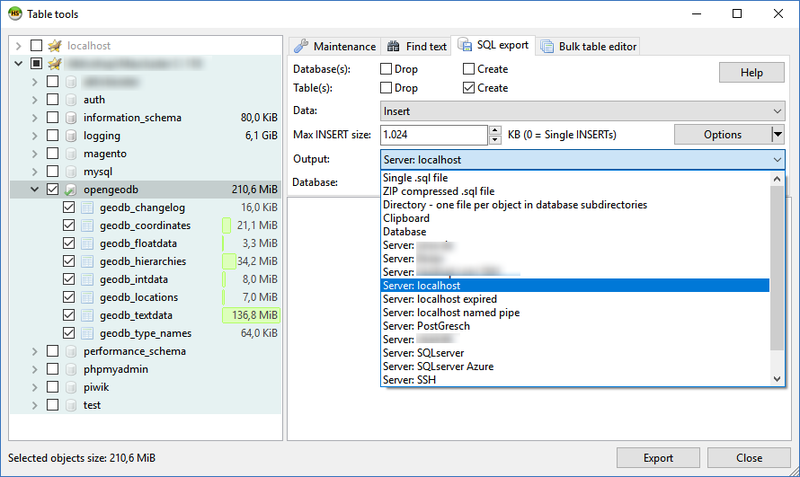 Dump selected databases and data into a single dump file, one file per table, directly to another host, to clipboard or to another database on the same server. 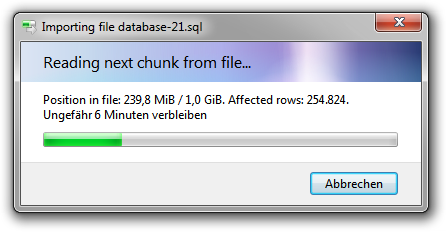 Nearly as fast as mysqldump! 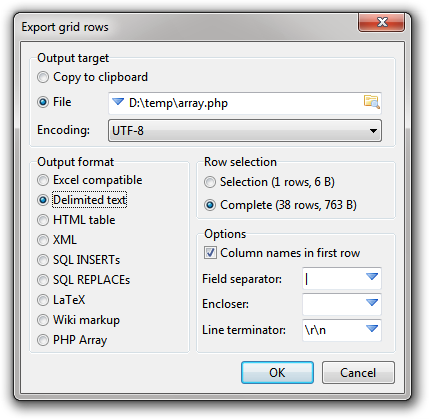 Save the result of any data grid to CSV, HTML, XML, LaTeX, Wiki markup or PHP files. 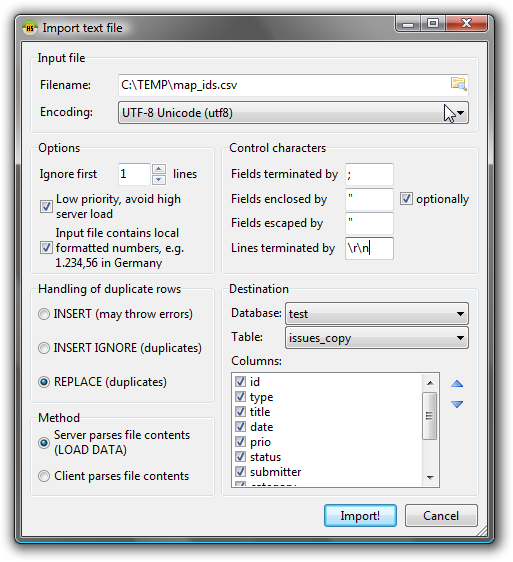 Import CSV or delimited files produced by spread sheet applications directly into a MariaDB/MySQL table. Users which are not allowed to execute LOAD DATA can activate a client-side parser. 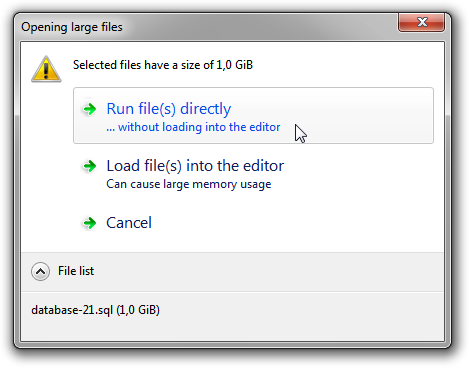 Read lots of files per batch into BLOBs, using macros for neighbour fields. Binary safe. 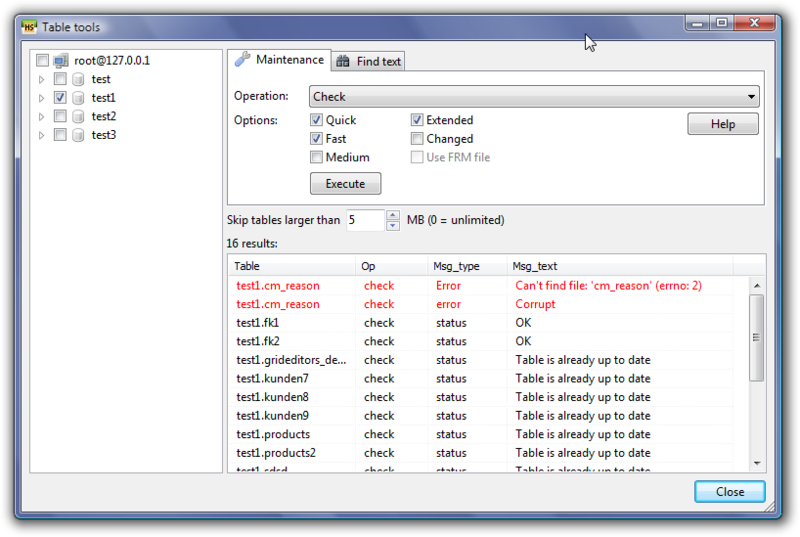 Optimize, check, analyze and repair tables by a few mouseclicks. 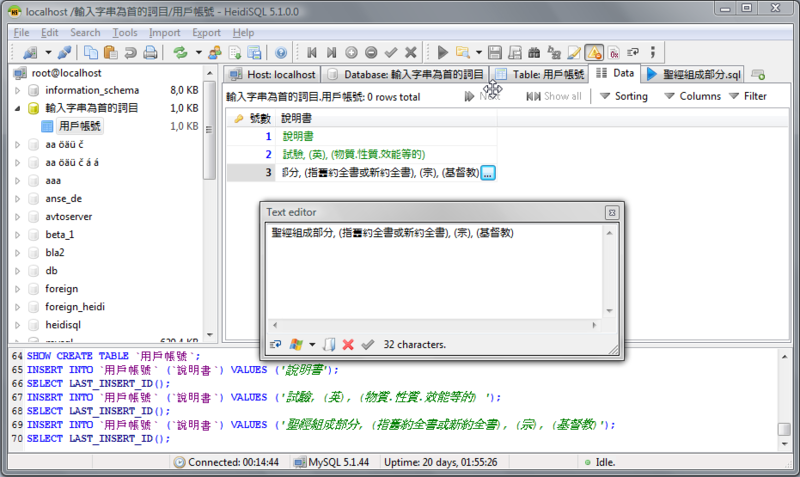 Find text in a table, a database or even on the whole server. Send any list of tables, columns, variables etc. to your printer. Switchable columns. 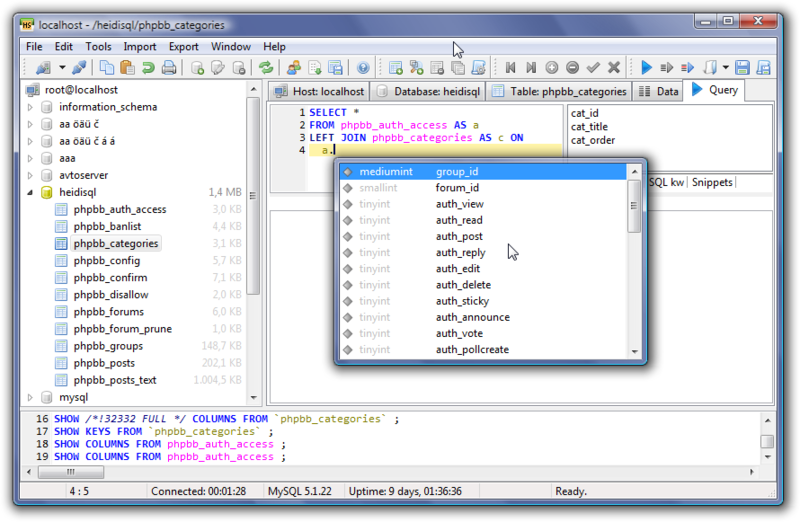 Browse through the topics in MariaDB's built in help system. 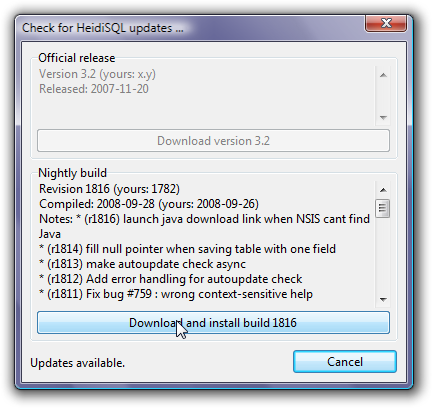 Keeps your HeidiSQL version up to date with the latest features and bugfixes. 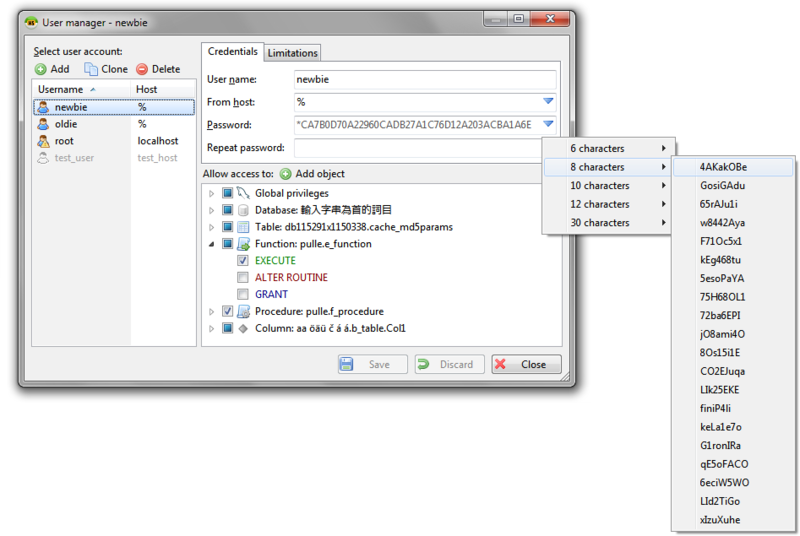 Can be invoked automatically by option. 192 383 HeidiSQL <img src="https://www.oldergeeks.com/downloads/gallery/thumbs/HeidiSQL_th.png"border="0"> Jan 24, 2019 - 13:29 10.0 11.25MB ZIP , out of 1 Votes.